Posted 9/21/2018 12:11pm by Z Farm Life LLC. Your week 4 store is open. There will be two more weeks left in this CSA season. If you haven't signed up for fall yet, sign up soon! Slots are filling up fast! As always, please leave your boxes and bags out for our driver to pick up. Posted 9/2/2018 7:52pm by Z Farm Life LLC. As some of you all are aware, we had a vehicle issue this week and could not attend two markets for pick ups. As we look forward to the upcoming week, there seems to be large amounts of rain in the forecast for the weekend. We have made the decision to place all CSA members on home delivery. 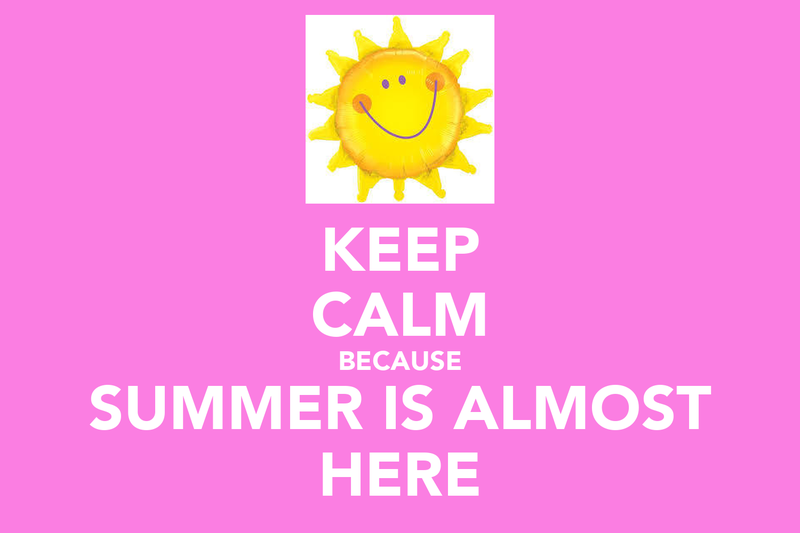 This summer has been the worst summer we have had in a very very long time. Humidity and heavy rain has destroyed over half of our crops. 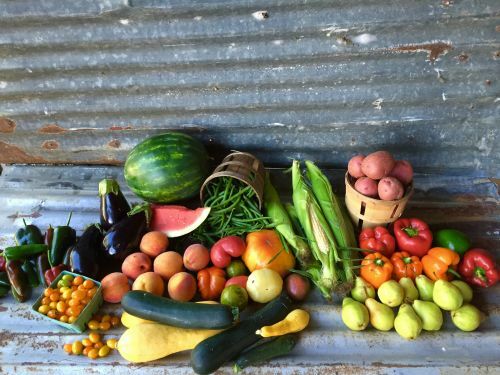 We are only able to harvest small amounts each week so we need to gove our CSA members first priority. By having you place your order every weekend, we can guarantee to get great quality produce and we will deliver it to your home so that you do not miss a single week due to weather or other circumstances. The CSA store will be open an extra 24 hours to give you time to place your order. We send deliveries on Wednesday, Thursday and Friday each week. You will be notified tomorrow of your delivery day and this day will be the same every week. We understand this will take some adjustment for those of you who have always picked up at market. If you forget to place your order, we send a farmer choice box to make sure you do not miss out. Placing your order this week will put you onto the correct delivery schedule. You will receive 6 deliveries in total to your home address listed on your membership. Posted 8/20/2018 12:29pm by Elizabeth Longendorf. Posted 7/20/2018 3:36pm by Z Farm Life LLC. Please remember to leave your boxes, bags and ICE PACKS out for pick up. We are not receiving our ice packs back each week. Posted 6/2/2018 2:18pm by Z Farm Life LLC. 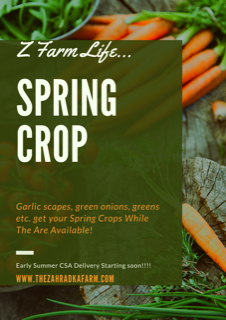 It's hard to believe but we are now at the half way point in our Spring CSA delivery :)I hope you all are enjoying the fresh picked veggies! The weather has been a little nutty but our harvest has been holding up pretty well. With that in mind please get your veggies inside as soon as possible. We have added ice-packs to your boxes when we feel it's necessary but the warmer humid temps can certainly can cause some issue with more sensitive produce. If you ever receive produce that is not up to par please let us and know and we will be happy to replace it the following week. Unpredictable & hot conditions are not always easy on fresh veggies! Don't forget... we recycle bags, our boxes and ice-packs so please leave them out for your delivery driver to retrieve when dropping off your share each week. We are currently taking members for our Early Summer CSA program. Sign up soon to reserve your spot! 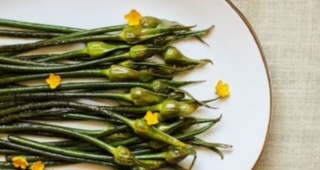 *Veggie of the Week: Garlic Scapes!!! They taste just like fresh garlic. No peeling required. I posted some recipes below. Enjoy!!! Chop the garlic scapes into small pieces, about a quarter of an inch each. Add the pieces to the bowl of a food processor and chop until fine. Add the butter (you may need to give it a rough chop in order for it to fit in the food processor) and the lemon zest to the garlic scapes. For longer term storage, place the compound butter on a piece of wax paper, roll it into a log and twist the ends. See the image below. For additional protection, place the roll of butter into a plastic zipper bag. Store in the freezer for 2-3 months. Combine the basil leaves, garlic scapes, and almonds in a food processor. Pulse until everything is broken up into small chunks. Add the parmesan cheese, salt and white pepper. Pulse briefly. 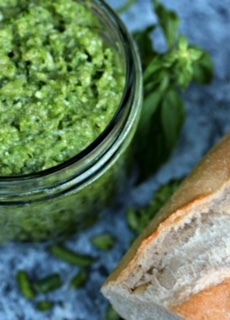 Turn the food processor on and slowly add the olive oil until the pesto is the consistency you like. 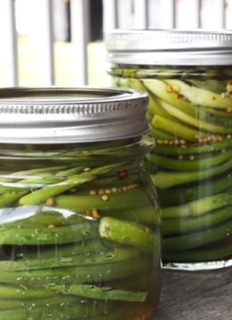 Remove and transfer to an air tight container, pop in the fridge until needed. Or just shove it all in your mouth immediately, whatever works for you. 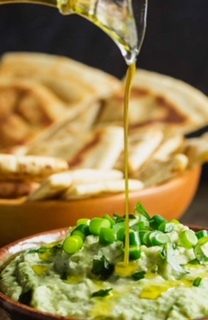 You can use this over pasta, crostini, sandwiches or for dip for some great crackers. However you use it make lots because it will be gobbled up quickly. 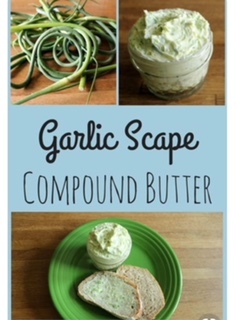 Serve with a big old garlic scape loving smile! Add the red chili pepper flakes and saute until fragrant, about 1 minute. 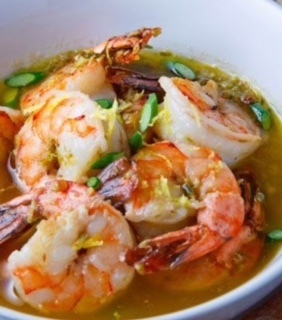 Add the shrimp and saute until cooked, about 2-3 minutes per side. Add the wine and lemon juice and bring to a boil. Simmer the liquid until reduced by about half, about 3-5 minutes. Add the garlic scapes and simmer until fragrant, about a minute. Add the butter, wait for it to melt and turn off the heat. Trim off 1 inch from the bottom of the spears as well as the brown part of any tips. Heat a large skillet, preferably cast iron, over high heat. Add 2 tablespoons of olive oil and spears to the skillet and toss until coated. Sauté for 4-5 minutes, or until they are slightly tender. If they look like they are drying out, add 1 more tablespoon of olive oil. 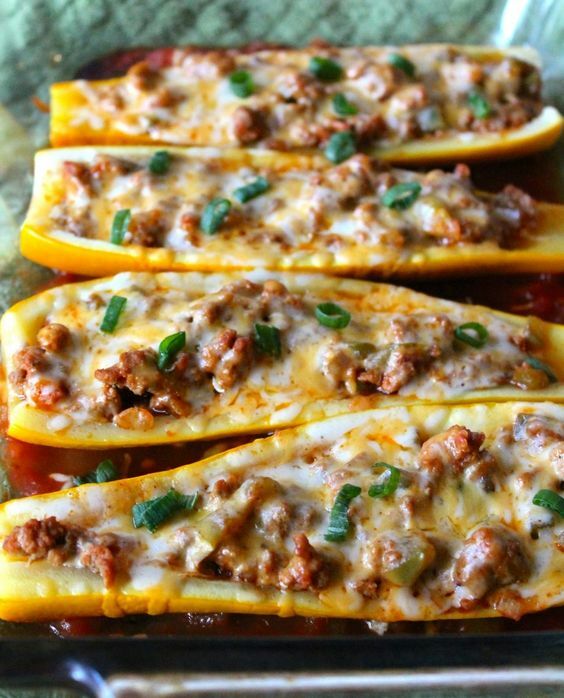 Remove from heat, add butter, salt, and pepper, and toss. If using a grill, place spears directly on the grill grate, making sure the internal temperature of the grill is at least 425 degrees F. If using an oven, place cast iron skillet directly in the preheated oven (preheated to 425 degrees F) with spears in it. Grill/roast for another 7-10 minutes, or until the spears begin to char slightly. 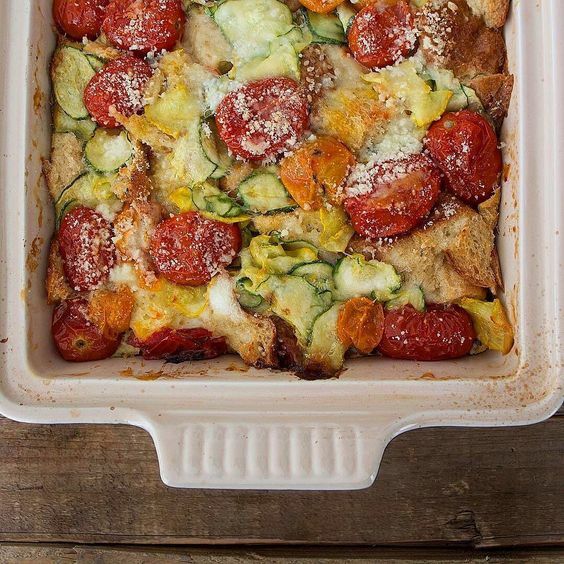 Remove from grill/oven and eat hot or serve cold, with or without shaved parmesan-reggiano cheese on top. 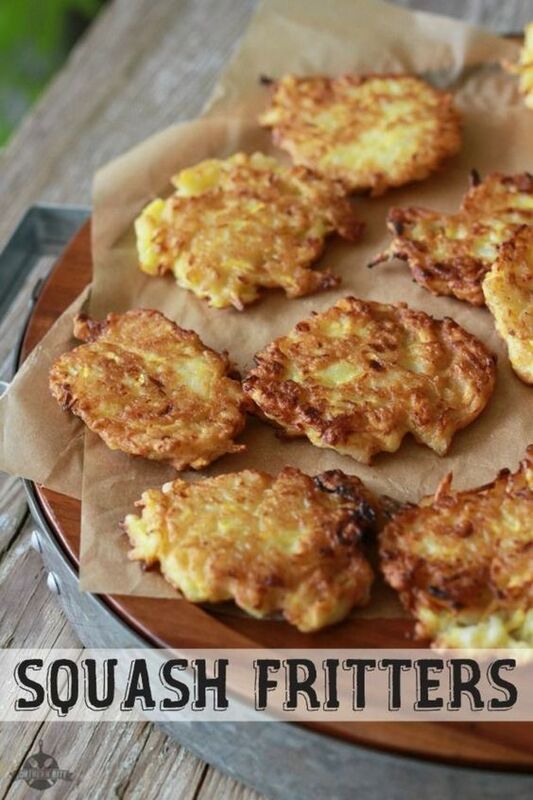 You can also add the spears to salads, pastas, and soups...get creative with it! Add the green garlic shoots and leeks. Simmer for 5 minutes. Check seasoning and adjust with salt, pepper, and lemon juice. (Soup may be made in advance up to this point, then reheated.) Just before serving, stir in scallions. 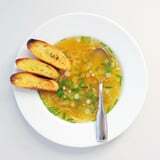 While the soup simmers, brush the baguette slices with olive oil, and toast. Ladle into soup bowls, add sliced baguette (three slices per bowl is a good place to start), and sprinkle generously with chives. Bring a large pot of water to a boil and set out a bowl of ice water. Add the garlic scapes to the pot and boil for 30 seconds. Drain and plunge the scapes into the ice water. Roughly chop most of the scapes and finely chop a few for topping the dip. Add the garlic scapes, white beans, olive oil, water, and parsley to a food processor (or blender) and process until smooth. Add more water if it's too thick. Taste the dip and add salt and pepper to taste. Serve topped with some garlic scapes, chopped parsley, and a drizzle of extra virgin olive oi. 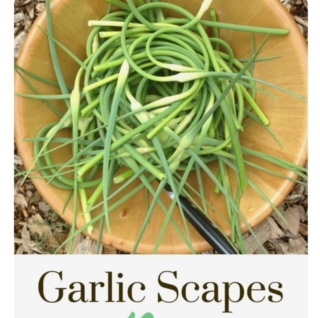 When using garlic scapes, only use the smooth stem part of the scape. Cut them just before they flare out into a bulb and then start to taper down. You can find garlic scapes at specialty food markets and farmer's markets. If you can't find garlic scapes, use 2-3 cloves of blanched garlic and the green parts of 2 green onions in their place. It will be a spicier dip (with the onions), but still very tasty.